Berlin is the capital city of German and the largest city in the country. It is the second most populous city in the European Union after London in the United Kingdom where lives about 3.7 million citizens. The city is situated in the north-eastern part of Germany on the edges of two rivers – Spree and Havel in Berlin-Brandeburg Metropolitan Region. This article will provide the essential knowledge on the city. The most important sights of Berlin. 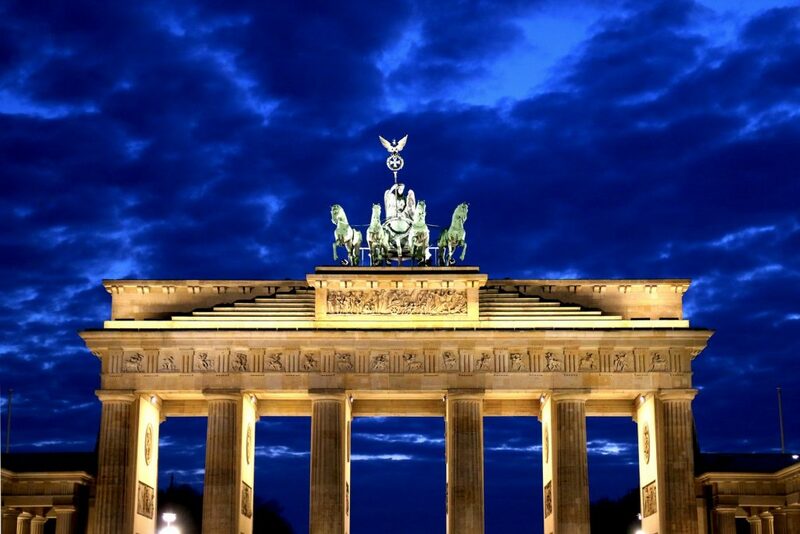 The landmark of the city and the symbol of Germany is the Brandenburg Gate. It is a monument that comes from the 18th century. It has seen the most important events of the city’s history as well as the country, for example the Berlin Wall, the speech of the Ronald Reagen and many more. Nowadays, it is a popular place among tourists and Berlin‘s citizens. There also take place various events such as New Year Eve celebrations. At present, the Brandenburg Gate is a symbol of unity and peace of the European Union. The monument can be visited every time you would like to because it is illuminated at night. The second landmark of Berlin is the TV tower located near the Alexandreplatze. It was constructed in 1960s and since that time it is also a symbol of the city. The tower is 368 metres tall and it is the tallest building in Germany and the second tallest in the European Union. At the top of the tower is a restaurant that is also an observation deck. How to get to Berlin? It is very easy reach the city because it is served by trains as well as long distance coaches. However, the fastest way of reaching the capital of Berlin is travelling by plane. The city is in a possession of two airports that serve about 30 million passengers a year. The main airport of Berlin is Berlin Tegel Airport, called also Otto Lilienthal Airport. It is the fourth busiest airport in Germany and it is located 8 kilometres from Berlin City Centre. The airport serves domestic, international as well as intercontinental flights. The second airport is the Berlin Schonefeld Airport that is placed 18 kilometres from the city centre of Berlin. It serves low-cost airlines. The accommodation in Berlin. There are situated more than 200 properties where the tourists may stay. The most popular forms of accommodation are hotels, apartments and hostels. The majority of properties provide free of charges breakfasts. There are also located popular hotel chains, for example Novum Hotels, Mercure, Ibis and Best Western.